Multiple leaks of various parts purported to belong to a fifth-generation iPhone, which we’ve been hearing is up for launch October 7, are a norm that late in the game. Today, MacRumors points (here and here) to several components allegedly sourced from suppliers. These parts might have been used in the design of iPhone 5. 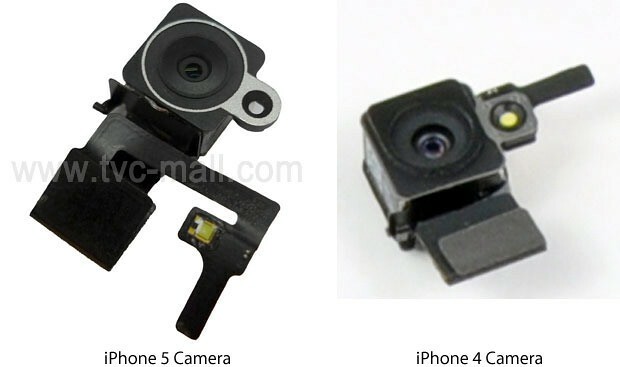 The back camera module, picture above next to its iPhone 4 counterpart, reveals the familiar compact design calling for the LED flash embedded closely to the CMOS sensor. Surprisingly, the iPhone 5′s back camera appears to lack dual LED flash. Of course, you never know with those leaks. For all we know, this part could just as easily have been used in one of early iPhone 5 design prototypes. It could also be the case of a repair shop looking for some free coverage. As 9to5mac reported back in April, Apple is likely to keep iPhone 5 ahead of other smartphones in the camera department by using Sony’s eight-megapixel camera. 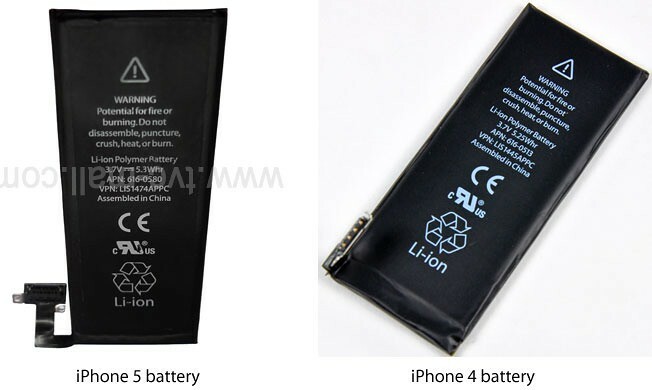 Take a prototype iPhone 5 battery provided by UK repair shop iPatchiPods said to be sourced “from their contacts”. Seen above, it is labeled “DVT_B3″, as in Device Verification Testing, which is the final prototyping phase preceding the actual production. The battery looks largely the same compared to iPhone 4′s and apparently sports the same power delivery. 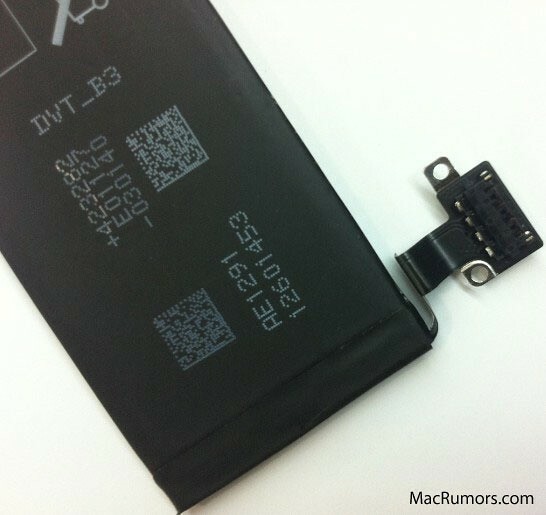 “Of course, we’re not sure how old the battery shown in the photo is, so the iPhone 5 very well could be in the final production stage”, MacRumors writes. You should also consider the possibility that this is simply an old prototype iPhone 4 battery. That leak corroborates another battery module leak from TVC Mall, also the source of other iPhone 5 replacement parts that include back camera lens and headphone audio jack flex cable. TVC Mall’s battery pack for iPhone 5 shows the rotated connector as opposed to its iPhone 4 counterpart. A recent leak involving audio jacks all but confirmed that iPhone 5, like its predecessor, will likely be offered in both black and white.